Want to cover your patio, but without losing light to your home? A glass canopy may be the right choice for you. These are custom designed to meet your needs and can be constructed within a few days. 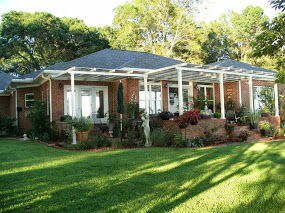 Change the dynamics of your home with a custom glass canopy from Architectural Glass. Give us a call today or email us to see what we can do for you. Custom colors are available as well as color choices for glass to determine how much light you want to block out. All aluminum and glass construction so they are virtually maintenance free.